Manu and me visited Amsterdam to go to the 'State of the Map'-conference, about the OpenStreetMap. If you've never heard about OpenStreetMap, I will tell you a little about it: Basically the OpenStreetMap is to maps, what Wikipedia is to encyclopedias; a community-based project to collect geographic information like streets, parks, pubs - everything which might be interesting. 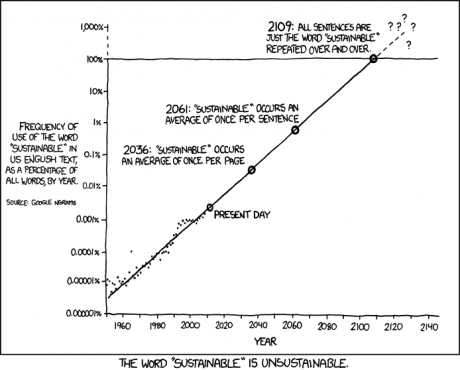 How much plastic do we produce? Plastic kills. Though, knowing something but not acting means the knowing is worthless. Why do we still use plastic in our daily lives? Because it is unavoidable? Perhaps. Look around you, how many of those products is made out of plastic? Here I can see my phone, this computer, the mouse, the printer, speakers, lens-care, cd-cases, a plastic bag, a bike-light and some more plastic cases for one thing or another. Most of these things don't get thrown away (yet), but once it is thrown away, what happens to it? And what can we do about it, here in the house? Cycling around paris, one corner to the other, Charlie and I had important business to take care of... a lightfoot letter each in need of delivery. So, my project is officially a work in progress. I bought a sewing machine from a junky today. He found it in a canal, so it's sustainable. Only, the junky was disguised as a sweet old man who owns a little shop in Weesp that specializes in selling sewing machines (as well as thread and zippers). 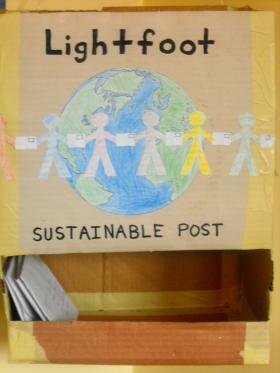 For now (as far as im aware) there is only one Lightfoot Sustainable Post Box, and thats at the casa. The ideal here is to have as many boxes in as many places as possible. If you would love to share your home/space and open it up as a Lightfoot Centre, that is one of the best ways you can help. Design a box, deck it out with the logo, and get all your friends to start writing! Tikopia is a very small (5 km²) and remote island located in the state of the Salomon Islands. Although the area is mainly inhabited by Melanesian populations, the 1200 Tikopia natives which live almost in autarky are from a polynesian background. This island is one of the finest examples of traditional sustainable development. Sometimes they can die at the same time, but never the born.